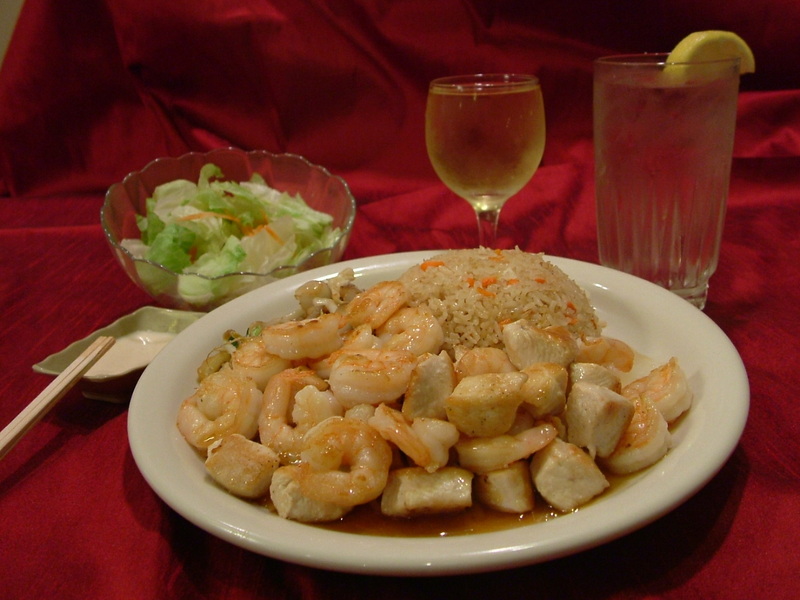 Grilled chicken and shrimp is one of several combinations popular with diners at Shonos Japanese Grill in Riverchase. Any restaurant that has us coming back regularly for six years has to be doing something right. The simple fact is that Shonos Japanese Grill—on Hwy 31 just north of the Cahaba River in the same shopping center as Hobby Lobby—has never disappointed. Run by Eddie and Flora Cui, Shonos has gained a loyal following over the years, and it’s little wonder why. Whether it’s the grilled chicken, shrimp or “Eddie’s special” beef entree, Eddie and Flora pride themselves on making sure that any choice you make is fresh and flavorful. Shonos does a strong business during lunch. One reason is because time-sensitive visitors who work in the Hoover area know they can get in and out without having to worry about a slow kitchen; Eddie cooks everything himself. 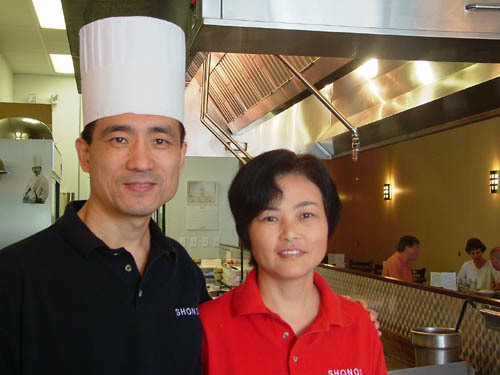 Eddie and Flora Cui have simple goals for Shonos: Healthy, good tasting food that’s reasonably priced. Entrees are made to order, but Shonos knows how to deliver with only a few minutes waiting. The fancy theatrics so popular at many Japanese steakhouses don’t happen here, so if you’re looking for someone to flip a shrimp in your mouth, you’ll probably be disappointed. What you can count on is consistently good food at prices that won’t make you feel as if you’ve made a big financial sacrifice. Eddie and Flora take pride in food that’s healthy, too. They recently started offering brown rice (in addition to steamed and fried), and their food contains no MSG. Service is always friendly and efficient; Flora sees to that. Shonos does a lot of to-go business. Orders for pick-up can be placed by calling 205-988-3319. Shonos is open Monday through Saturday, for lunch and dinner. The belly dancer is gone. In just the past week or two, several places we know of have shut their doors. Some were locally run, while others were part of national chains. One of the most recent to vanish—Ali Baba in Hoover—had been a favorite for Colleen and me for almost three years. Cold Stone Creamery is following suit. Other Hoover casualties include Cafe Luigi and Fish Lips Seafood and Grill. food to survive in the restaurant industry. You must have a sharp sense of business and innovation. Belly dancing, a regular Thursday feature for diners, is now a thing of the past with the closing of Hoover’s Ali Baba restaurant. Ali Baba is a loss to the dining community because Persian restaurants that feature belly dancing are not exactly common place in Birmingham. the doors locked; the restaurant had picked that day as an additional day to be closed each week, effectively cutting off even more chances for revenue. The restaurant also dropped its participation with restaurant.com, which the owner said cost him money instead of creating new customers. In Ali Baba’s case, I think the biggest factors leading to the restaurant’s demise seemed more outside of the kitchen. Marketing, exposure and innovation lacked. They seemed to always be looking at ways to cut, instead of trying new things. me wondering how well they could maintain such a large menu. The answer was forthcoming: During our last visit, the food did not seem as good. In the food service industry, you only have to disappoint once to lose business. of the best Greek food we’ve had anywhere. fajitas—once in the $12 range—have shot up to above $15. As much as he likes the food, a friend of ours says he’s cutting back on his visits, lamenting that he can’t have lunch there any more without spending well over $10. Having opened its doors in 1907 as a 25 seat cafe, The Bright Star—which now seats 330—has fed generations of families, offering a diverse menu of steaks, seafood and Greek dishes. Fortunately, the Birmingham area remains blessed with a huge assortment of great restaurants. 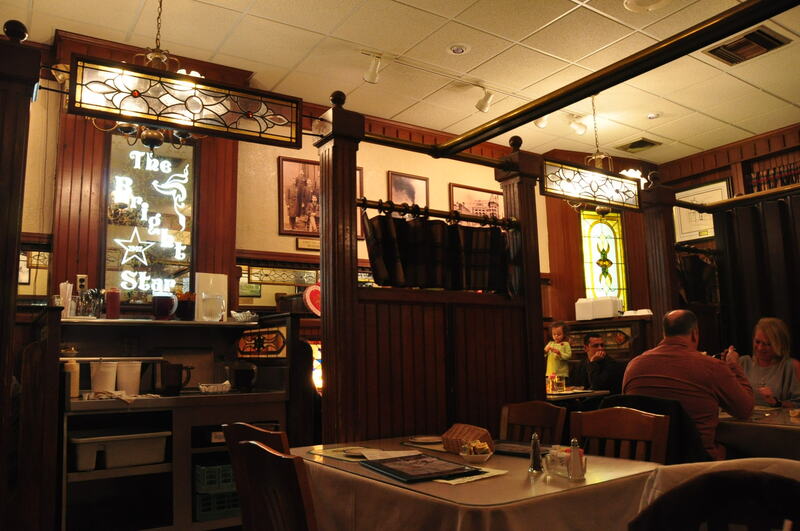 One of our favorites—The Bright Star in Bessemer—is still going strong. Any restaurant that has remained in business for over 100 years has to be doing something right. Other locally owned restaurants—while having been around only a few years—are packing the customers in. At Alabaster’s Joe’s Italian, don’t be surprised if showing up for a Tuesday or Wednesday dinner still means waiting for a table. Now in its fifth year, Shono’s Japanese Grill in Riverchase—another spot we hit regularly—is persevering. Eddie and Flora Cui opened Shonos Japanese Grill in Riverchase in 2007. Customers love the ‘Eddie’s Special’ as well as the grilled shrimp and chicken. We continue to discover wonderful new places appearing on the scene from time to time, too. On our first recent visit, we decided that Bistro V in Vestavia had scored a home run. Despite the challenges, entrepreneurs still move forward. At Steak ‘n Shake, which made its Birmingham debut in Alabaster August 23rd, the newness hasn’t worn off. Don’t be surprised if you have to wait for a table even when visiting at what would seem like a non-peak time. Across Highway 31, the nearby Dairy Queen re-opens under new management October 1st. It’s a bold move to open a restaurant in this day and age. For the selfish sake of my culinary desires, I’m hoping more folks will try it, though. We do like to eat!